Whether your mom is a city gal, an intellectual, or a fitness fiend, here are some ways to make this Mother’s Day anything but ordinary. 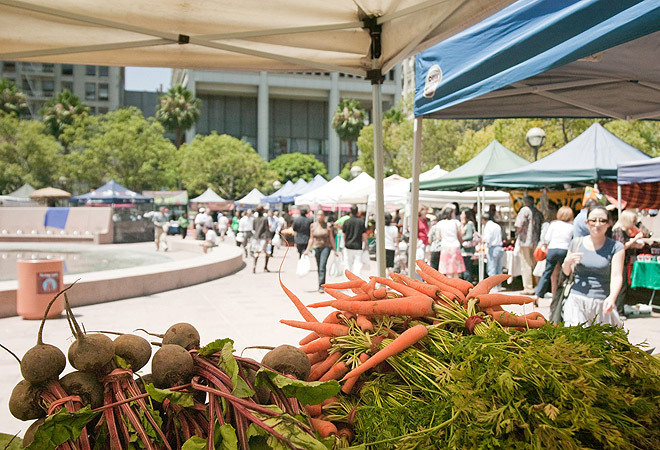 Explore the Historic Downtown Farmers Market, where you can sift through exotic produce, score craftsy trinkets at Storefront in the arts district, and grab a cuppa joe and a slice at Pie Hole. Take your pick of Benjamin Britten concerts in Pasadena—a cello performance at the Ma Residence or one by a children’s choir at Pasadena Presbyterian Church—before heading east to hear Bill Maher speak at Pomona College. Rise early and feel the burn with a run along the beach in the Santa Monica Mother’s Day 5K/10K/15K and Half Marathon, or Zen out with tai chi in nearby Douglas Park. Then reward yourself with an epic smoothie at Planet Raw.